The World Health Organization-WHO has ordered for mandatory Ebola screening of all passengers entering the country through Entebbe International Airport in a bid to avoid a possible outbreak in Uganda. 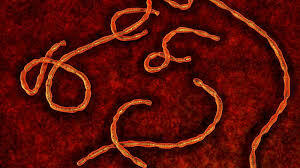 This comes as DRC battles an outbreak of Ebola in the in the North Kivu Province, along the border with Uganda. So far 600 cases of Ebola have been reported in the region since the outbreak was reported 4 months ago. WHO’s mandatory screening instructions were confirmed by Simon Ebachu, the head of Ebola screening who said about 40 health workers have been stationed at the Airport to screen all passengers. Ebachu says that the passengers will be screened using an automatic thermal stand that screens people's temperatures as soon as they arrive at the airport.